The yellow one is inflatable, so when you get to the second to last step, you need to… blow into the bunny’s nose! 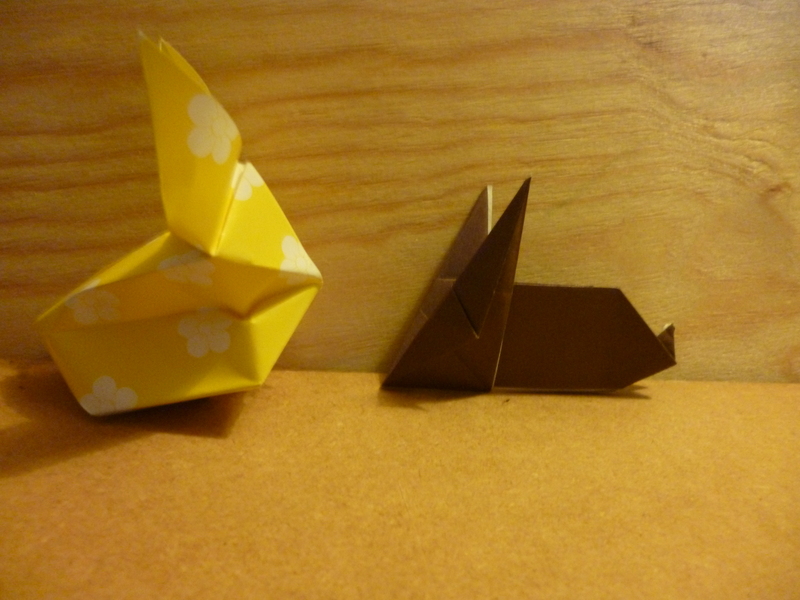 This entry was posted in Craft, Origami, Paper, Tutorial. Bookmark the permalink. Post a comment or leave a trackback: Trackback URL.